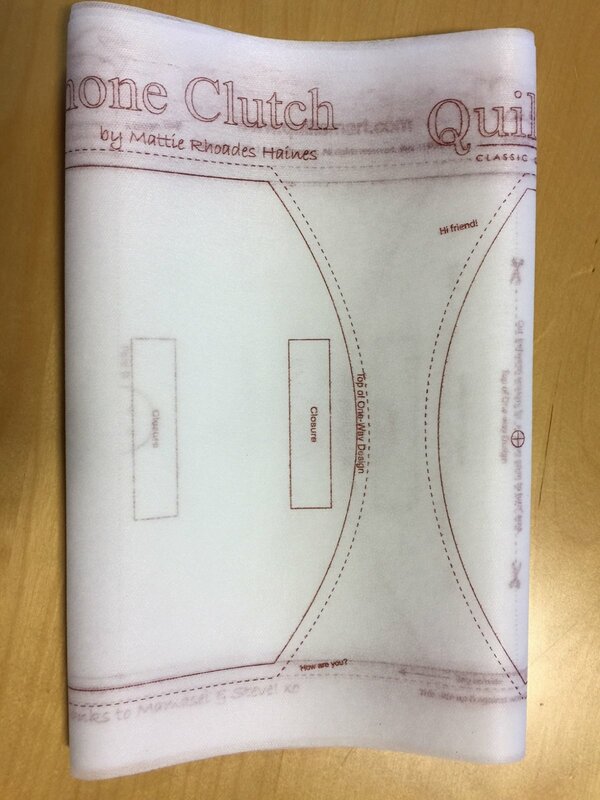 Cell Phone Clutch printed interfacing sold by the panel - but you won't want just one - they make fabulous really quick gifts (under 30 min!) - a great item to keep in your stash for a last minute AND over-the-top sweet gift! FIRST TIME USERS - Purchase the "Pack" first which includes instructions, cording, hook and loop fastener, and interfacing, then buy 'by the panel" in 3-packs for more bags. Cell Phone Clutch Printed Interfacing Panel - 3 panel pack. Each panel makes 1 Clutch Bag! Scroll down to see Suggested Products!